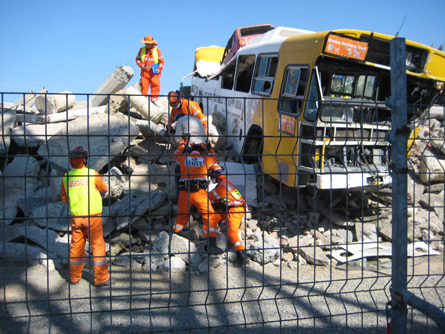 The countdown is well and truly on for the National Disaster Rescue Competition, which is being held in Adelaide over the weekend of the 9 -10 July 2011 at the Adelaide Showgrounds. Teams from all States and Territories will be competing in the biennial event, with the teams comprising volunteers, competing against each other in a series of “emergency situations” where they demonstrate their skills, knowledge and ability as a team in what will be “trying conditions”. 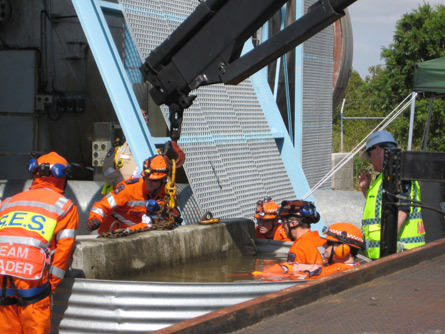 While this April edition of Frontline is being printed and distributed, the State competition will have been conducted at the MFS Angle Park Training Facility over eight stands, which included basic rescue techniques, heavy lifting equipment, first aid, plus the all important team work and leadership. The winning team from this competition will be representing our State at the up and coming nationals. Whoever the winner, we all wish you well in July. A full report on the State Competition will feature in the July edition of Frontline.